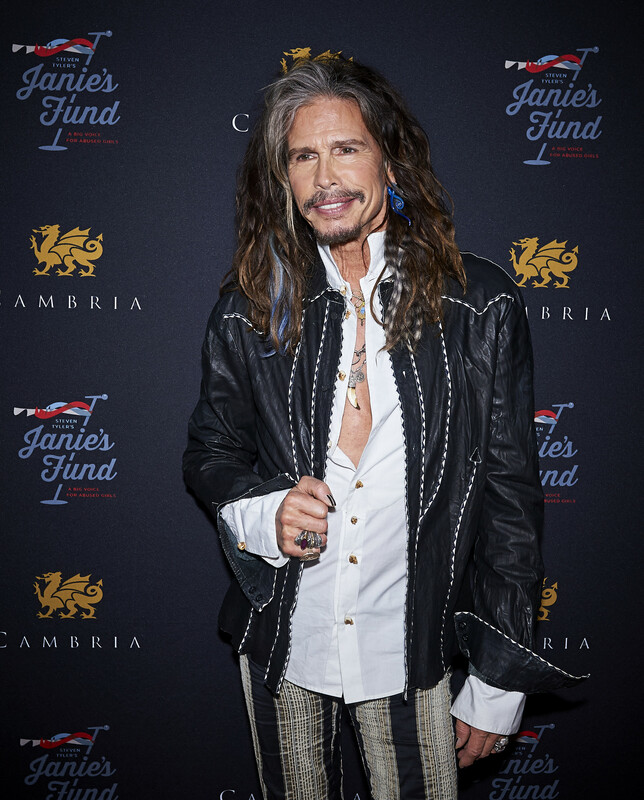 Toronto’s who’s who gathered for a VIP event at the Cambria Gallery 91 Parliment Street in support of Steven Tyler’s Janie’s Fund during the Toronto International Film Festival. The influential event attracted National media, several celebrity designers, and other international stars including; Mariel Hemmingway. That’s because Steven remains one of the sweetest, most openhearted, and least cynical world-famous people you would ever want to meet. According to Tyler: “I realized this is an issue I’ve always been moved by, especially as a guy with four children, three of them daughters. You know when you were born because of your birthday, but when you find out why you’re born, that the second best day of your life—that’s a moment that changes everything. And for me to be able to meet these young women, who have been so broken, and see the incredible work Youth Villages is doing to help them heal and overcome their trauma, it just means a lot. To take the idea of ‘Janie’s Got A Gun’ and lose the ‘gun’ part and add a ‘fund’ part to make it something positive and life-embracing and game-changing, it’s changed my life too.” Tyler’s passion and commitment is the at the core of all his great work, but none, it seems—as much as Janie’s Fund.